In 2007, I went to Ann Arbor with Smells to watch Michigan destroy Notre Dame. 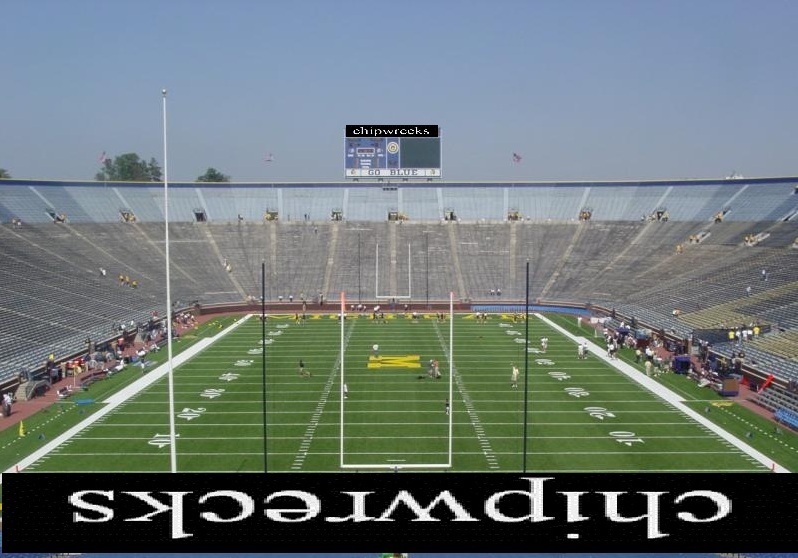 I love Notre Dame football and have always wanted to go to the Big House, Michigan’s Stadium. We got there on Friday night and did the usual campus drinking. We woke up Saturday morning, tailgated and headed into the stadium. When we got to our seats, I started feeling that “Uh oh” grumble down below.